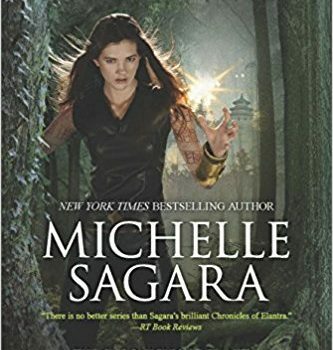 Michelle Sagara, Cast in Deception (Mira 978-0-7783-3110-0, $15.99, 506pp, tp) January 2018. Cover by Shane Rebeschied. As always, a new crisis develops in this 13th vol­ume in the Chronicles of Elantra fantasy series, a novel with a serious case of middle-volume plot stall. Fortunately Kaylin’s irreverent attitude keeps things entertaining, even when the story bogs down. This time, Kaylin’s already-contro­versial household becomes the center of attention when one of her houseguests, one of the cohort – a group of Barrani youngsters once sacrificed to the green, developing strange new abilities in the process – decides he wants to go to the High Halls to take the Test of Name, which will either kill him or make him a Lord of the Barrani High Court. Then the rest of the cohort still in the West March decide to join him. 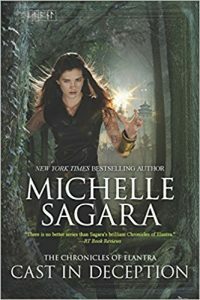 Since just two of the cohort accidentally called Shadows and almost destroyed the High Halls once already, many fear what might happen – but before that issue can be resolved, Kaylin and the dragon Bellusdeo get magi­cally transported far from the city, and discover new problems are facing the cohort members heading to Elantra. Figuring out how to fix things and get back to the city takes up the bulk of the novel, which ends up pretty much where it started, but with more players in place, and a lot of exposition providing more new questions than revelations. 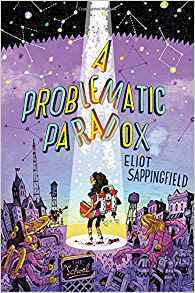 Eliot Sappingfield, A Problematic Paradox (Put­nam 978-1-5247-3845-7, $16.99, 343pp, hc) January 2018. 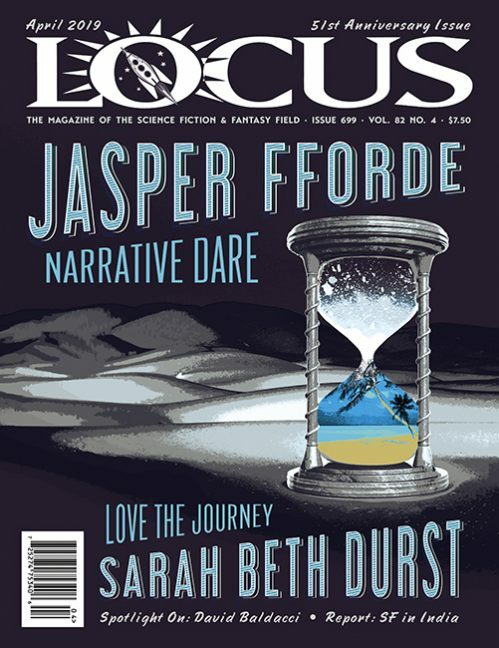 Cover by John Hendrix. A teen genius escapes middle school and faces aliens in this amusing older-middle-grade SF novel. Nikola Kross is a total misfit in school, too advanced for her teachers and preferring her science experiments to trying to get along with others. She’s totally unprepared when aliens kidnap her father and she gets sent off to a boarding school for geniuses where most of the students aren’t human, and she might not be the smartest person there. Still, she’s sure enough of herself not to be fazed when dumped mid-term in classes on topics she didn’t even know were possible – and to display talents that surprise everyone. She even makes friends, since the other kids, however rude and weird, are a major improve­ment on the denizens of the middle-grade hell she escaped. Though expressed in SF terms of aliens, other dimensions, and quantum phenomena, this has certain Lovecraftian touches when it comes to the bad guys, the alien Old Ones – not to mention a lot of science so advanced it might as well be magic. 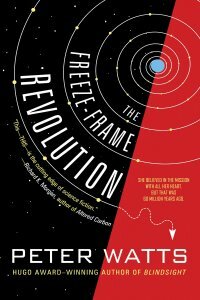 The whole thing reads like a mass of twisted (and not-so-twisted) tropes, a gonzo fun-fest of bizarre science and a school full of multi-talented kids who team up to save the world in the face of adult denial, a very impressive first novel that should leave readers young and old eager for more.